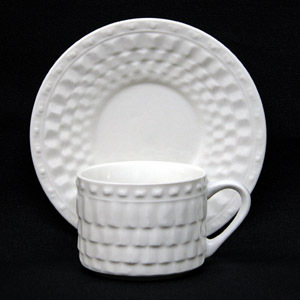 Demitasse-size espresso cup and saucer set made to match its coffee cup and saucer counterparts. Saucer measures 4.75 inches. Sold in single cup-saucer set.